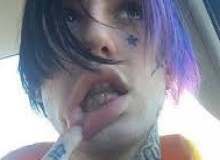 R.I.P lil peep. The Gothboiclique is still alive. I made this quiz because I am a fan of his, and want to keep his memory alive. If there is any inaccuracies or faults in the information in this quiz please don't hesitate to tell me in the reviews/comments. Lil peep was a singer and rapper offer praised for creating a genre that mixes elements of rap and emo, that has been named "emo trap" he also had a very unique style and aesthetic. What is lil peep's real name? What age was he when he passed away? How did he get the name "lil peep"
What year did he start releasing music? "I wish I didn't have a heart to love you" what song is this from? "I got deathnotes, where's my list at"
Quiz topic: How much do I know about lil peep?